Brisk Infrastructure & Developers are a leading real estate having a premium project, Brisk Lumbini Terrace Homes in Sector 109 in Gurgaon. It has been given a 4 star ranking by renowned research, risk and advisory company Credit Rating and Information Services of India Ltd. (CRISIL) which acclaims its excellence. Gautam Buddha’s birthplace Lumbini was the idea behind the name of this project. It has been designed to provide a healthy environment to the residents as the expert architectures have worked on Zen Philosophy and have made it earthquake resistant for the safety and security of the residents. They have also ensured that the recommendations of IIT, Delhi is also followed. Harmonious planning and intelligent designing helped in optimum utilization of space with green terraces in every apartment.Brisk Lumbini Terrace Homes is offering world class facility. Apart from having a 4 star tag, the project also claims the title as “Gold” graded by SEAC by Ministry of Environment. Healthy environment, modern amenities essential for day-to-day life of the people and the comfort are some perks which this project assures the residents for. They even have swimming pools, exterior gardens, jogging parks, tree plaza, ample parking space and convenience stores, etc. The project covers between 1,703 sq. ft to 2,637 sq. 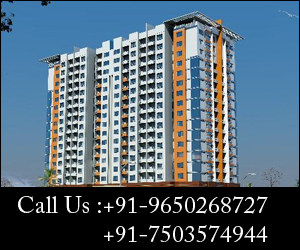 ft. of area and offers 3BHK, 3.5BHK and 4BHK apartments to the residents with thirteen floors in all the towers. Another benefit which this project provides is that it takes minutes away drive from Indira Gandhi International Airport, adjacent to Dwarka Expressway. The eco-friendly design and advantageous location make it a most desired residential project in Gurgaon. Around 75% open space of greenery, waste management and decreased energy consumption make this residential project a great place to live. This project is a good option for the investors as well. They can get good returns on their investments as the expectations for the price rise is higher. Brisk Infrastructure & Developers was established in and is acknowledged with an ISO 9001: 2000 certification. It is therefore a very wonderful opportunity for you. . Go for it as this is the best deal that awaits your acceptance to make your life glamorously amazing. It is not every day that you get such chances that would change everything for you.